On the morning of 3 November 2015, one day after the International Day to End Impunity for Crimes against Journalists, journalist Zaman Mehsud was killed when unidentified gunmen opened fire on his motorcycle in Tank, a district in Khyber Pahktunkhwa province, Pakistan. Mehsud, 38, was travelling from Gomal bazaar when unidentified gunmen opened fire near the Dabara refugee camp. The assailants who were also on a motorcycle managed to escape after shooting him. Mehsud was critically injured and taken to the District Headquarter Hospital Tank, and later to the District Headquarters Hospital in Dera Ismail Khan where he succumbed to his injuries. Mehsud received four bullets to the chest, doctors said. 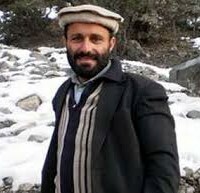 Mehsud was a senior journalist associated with the Urdu language Daily Ummat and the SANA news agency. He was running his own twitter news account, “Gomel News”, and had served as president and secretary general of the Tribal Union of Journalists’ South Waziristan chapter. He was also a monitor for the Human Rights Commission of Pakistan. According to local journalists, he did not get any threats and did not have any enmities with anyone. The murder was also condemned by the FATA Journalists’ Association, the Human Rights Commission of Pakistan (HRCP) and many journalists’ unions. Aslam Khan, the slain journalist’s brother, registered a First Information Report (FIR) against the unidentified killers. Mehsud hailed from Mantoi area of Ladha in South Waziristan and was residing in Tank. He leaves behind his wife, three sons and two daughters.